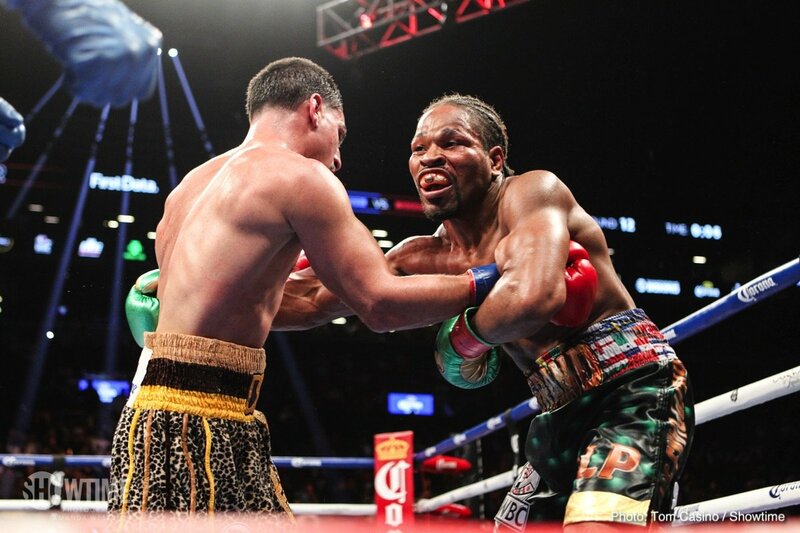 Warrior Shawn Porter is very much an old-school fighter, in as much as the reigning WBC welterweight king never looks to cherry-pick. No, Porter is in possession of the fiercely proud mindset that belonged to the greats of yesteryear. Case in point: Porter, who recently won the WBC belt with a tough and close September win over Danny Garcia, is not looking to cash in with an easy or safe first defence. Not at all. Porter is instead looking at facing one of two names in his next fight early in 2019: Keith Thurman or Errol Spence. Now it goes without saying how saying how eagerly fight fans would welcome either fight, and if it’s down to Porter, we will get to see at least one of these match-ups next year. Speaking with Sky Sports, Porter, 29-2-1(17) said he fully expects Thurman – who of course battled to a close and thrilling decision win over Porter in a 2016 FOTY candidate – to come back and fight him in a mandated fight next year. If it’s not that fight that happens next though, Porter makes it clear he wants Spence. In terms of the best possible 147 pound action right now, Porter against either Thurman or Spence would be what fans would want (Terence Crawford aside). Thurman would be foolish to come straight back and fight Porter, though, so maybe the former champ who has not fought in getting on for two years will have that comeback fight first. As for Spence, negotiations are ongoing for the IBF boss to fight Mikey Garcia next year. It looks, then, as though it might all depend on what Thurman wants to do next. But Porter has made it clear, yet again, that he wants to fight the best and nothing but the best. And as mentally strong as he is, as physically all-conquering as he is, as determined as he is, don’t ever go and make the mistake of betting against Porter beating both of his rivals.